People heading to Dominica in July may wish to check their travel insurance to ensure it covers watersports, after the country announced it is to host a scuba diving event. Dominica Dive Fest is open to scuba divers from around the world and will welcome participants of all standards, organisers said. The nine-day event will take place from July 10th and will include a number of taster sessions - some of which will be free. It is aimed at boosting awareness of the sport and attracting divers to the Caribbean island. Organisers explained Dominica's west coast is rich in reef life - with species such as seahorses, frog fish, scorpion fish and flying gurnards all common, despite being rare around the rest of the Caribbean. Those heading out to take part in the event will also be able to go on whale watching expeditions, a treasure hunt and take part in a canoe race. Dominica is currently hosting Hike Fest 2009 - a series of guided adventure walks around the island. 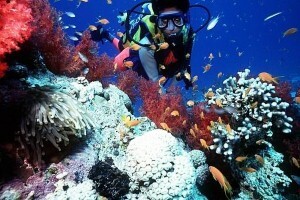 Travel insurance policies often have exclusions and limitations relating to travel insurance cover for scuba diving. At World First we automatically cover you to dive to 30m so long as you are qualified to do so.